Hello, I’m a tenured assistant professor (RTD-B) in Sociology of Culture and Communication at the Padova University – Dept. FISPPA, where I work with the PaSTIS research unit (which I co-founded in 2008). My interests focus on the mutual co-shaping between technology, culture and society, with special attention to the role of digital media in society, to how consumer culture shape technological modernity, popular culture as a crucial dimension in science, technology and innovation and – my early love – the relationship between music and technology. My main intellectual fields are science and technology studies, media studies, cultural sociology, consumer culture, cultural sociology, cultural studies and sound studies. A topic I’m very interested in is the process of digitization in media and cultural consumption and especially how digital technologies co-evolve together with everyday practices. I’m founding member of the Research Unit PaSTIS at the Department Fisppa and since 2012 I’m also Adjunct Lecturer in Sociology of Consumption and Marketing at the IUSVE University in Venice. Since 2014 I have got the ‘habilitation’ (here in details) to became Associate Professor in Cultural Sociology (14/C2) in the Italian academic system. between 2013 and 2018 I have been Secretary of STS Italia, the Italian Society for the Social Study of Science & Technology, which gathers more than a hundred Italian STS scholars. Since 2010 I’m co-editor-in-chief of the journal “Tecnoscienza” and for the period 2019-2021 I’m also I’m also co-editor-in-chief of the journal “Studi Culturali” (and I’m also member of the boards of “Sociologica” and “Dancecult“). I have published more then sixty academic book chapters and articles in journals such as «Journal of Consumer Culture», «Cultural Sociology», «CSCW», «Appetite», «Modern Italy», «Journal of Science Communication», «Journal of Peer Production», «Rassegna Italiana di Sociologia», «Polis», «Sociologica», «Studi Culturali», «Tecnoscienza», etc. A comprehensive list of my publications is in this website and in my full PDF CV (above). 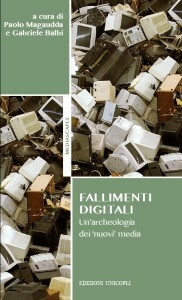 My last book is titled History of Digital Media. 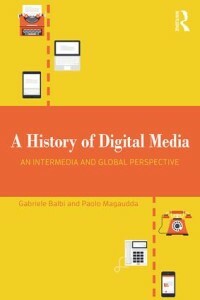 A Global and Intermedia Perspective, written with my colleague Gabriele Balbi, published by Routledge. As the title says, it is a concise history of digital media from the birth of computers (but with references in earlier centuries), with a specific attention to a global vision and a focus on intermediality. 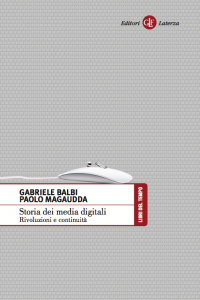 This book is a different and evolved take on atopic to which I and my colleague have already dedicated a book in Italian in 2014, Storia dei media digitali. Rivoluzioni e continuità, (Laterza). Back to the recent past, in 2012 I have published in Italian, with Il Mulino publisher, my PhD research on the consumption and music listening technologies, titled Oggetti da ascoltare. HiFi, iPod e consumo delle tecnologie musicali [Objects to be listened. Hifi, iPod and the consumption of music technology]. It is a qualitative research on the users of musical technologies, albe to reveal the process of co-construction between technologies, their users and the cultural framework in which this relationships takes shape. In 2012 I have also published a book on the representations of science & technology in popular culture – including fiction, movies, advertising and marketing – and titled Innovazione Pop. Nanotecnologie, scienziati e invenzioni nella popular culture [Pop Innovation. 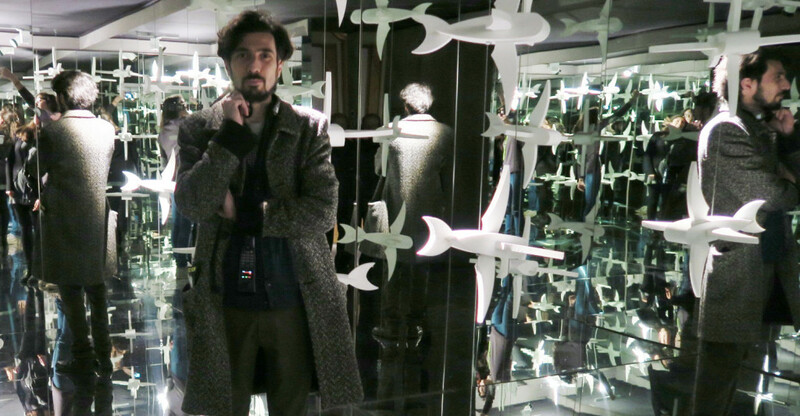 Nanotechnologies, scientists and inventions in popular culture] (Il Mulino, 2012). Another recent joint-effort with my colleague Gabriele Balbi was the edited book Fallimenti Digitali: un archeologia dei ‘nuovi’ media, published at the beginning of 2018 with Unicopli, Milano. It is a collection of chapters authored by many colleagues aorta the common topic of failures in digital media, with the aim of put into question the narrative of digital technologies as the winning solution. 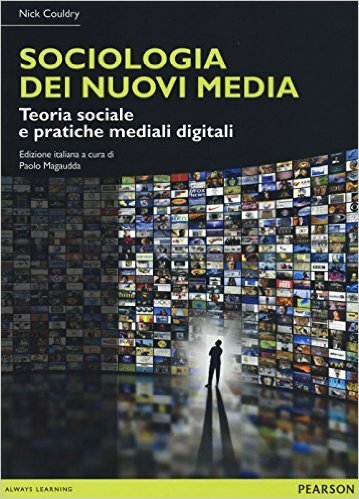 In 2015 I edited the italian translation of the Nick Couldry’s book “Media, Society, World“, which has been translated with a more “eye catching” title “Sociologia dei nuovi media” (Milano, Pearson 2015). 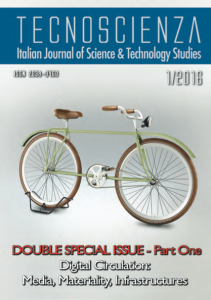 In 2010 I opened – and since then I’m co-editing –TECNOSCIENZA: the Italian Journal of Science and Technology Studies. It is a open access journal so you can download articles published for free. For “Tecnosceinza” in 2016 I co-edited a Double Special Issue titled Digital Circulation: Media, Materiality and Infrastructures, with my fellows Gabriele Balbi and Alessandro Delfanti. In 2011 I have edited together my colleague Federico Neresini a book on social representations of science & technology in Italian TV (Il Mulino) and titled La scienza sullo schermo. La rappresentazione della tecnoscienza nella televisione italiana [Science on the Screen. Representations of technoscience on the Italian Television]. In 2014 Springer has released a book I spent few years to co-edit with three other colleagues of mine (Simone Arnaldi, Arianna Ferrari and Francesca Marin). 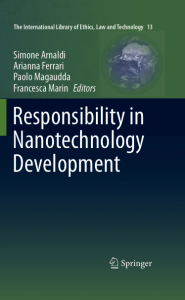 It is titied Responsibility in Nanotechnology Development and focusses on the social and cultural aspects of nanotechnology and especially on the issue of responsibility. By the way, on the issue of nanotechnology in culture and society, in 2012 I have also edited edited a special section of the “Journal of Science Communication” on the cultural circulation of nanotechnologies in society. I’m member of the Board of Directors of “STUDI CULTURALI” (Il Mulino), which I have contributed to found in 2003. 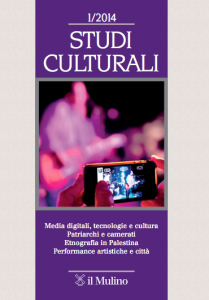 For this journal in 2013 I have edited a special issue on sound cultures with Marco Santoro; in 2014 I have also edited a special section (Vol. 11, nr. 1) on the relationships between digital media and technological innovation. with six articles on technological determinism, smartphones, internet, big data and file sharing. 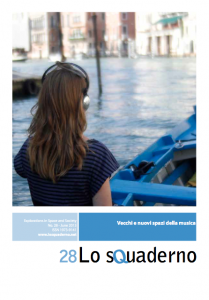 In 2013 I edited a special issue of the online journal Lo Squaderno, together with Attila Bruni and Andrea ‘Mubi’ Brighenti, about musical spaces. At the end of 2014 I have also co-edited a huge volume titled A Matter of Design, containing about 80 papers from the V STS Italia Conference, which I have co-organized in Milan in the same year. It is a open access publication and is the first book output by STS Italia Publishing. Sometimes I also write about my scientific topics for non-scientific journals and publications such as Alias (the weekly magazine of “il Manifesto”,​​ see a list here), the web journal Digicult, “Che fare“ and a blog titled Tecnoconsumi on the web site SapereScienza.it. on the relationship between consumer culture and technology.